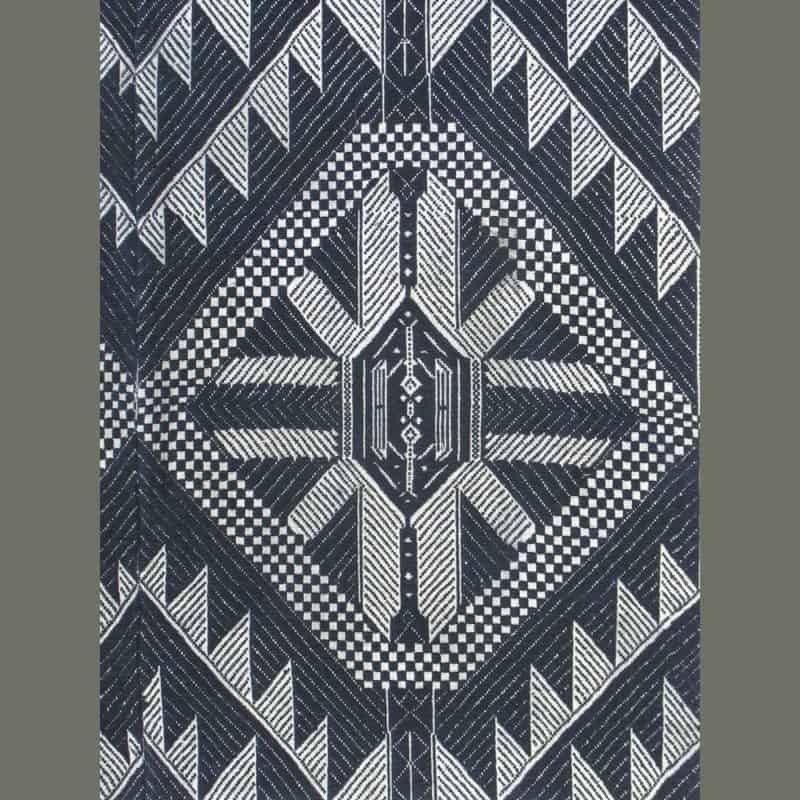 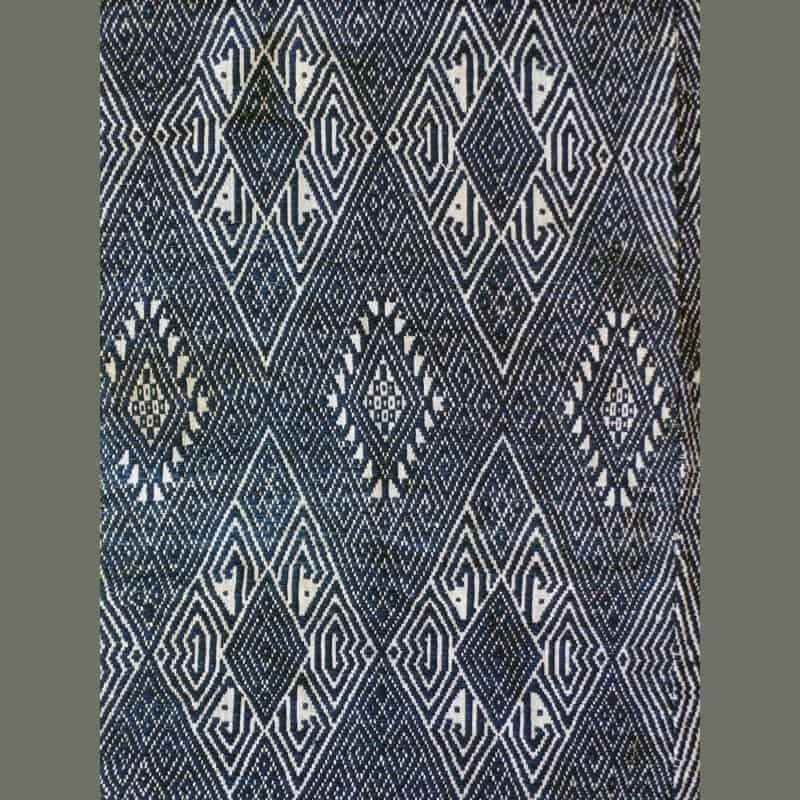 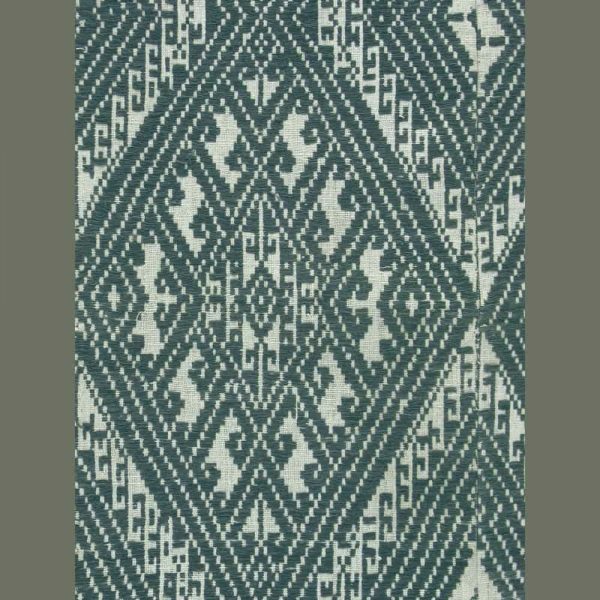 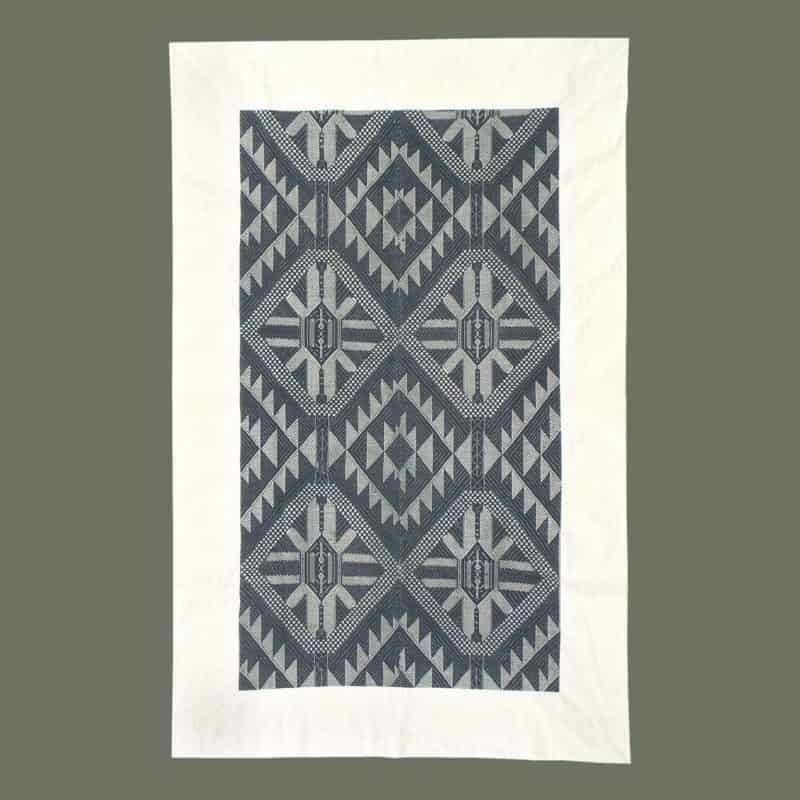 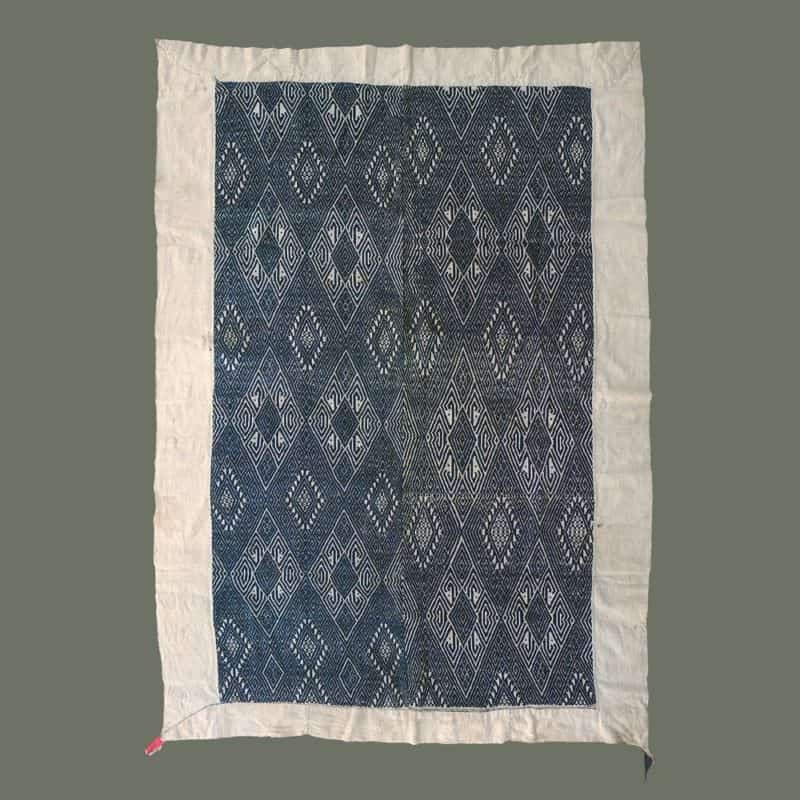 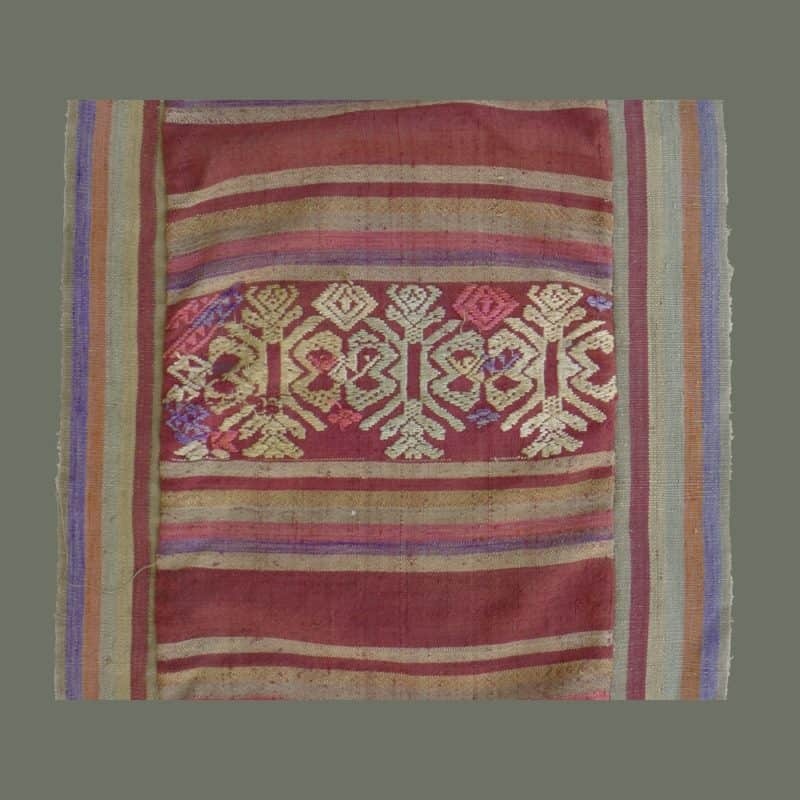 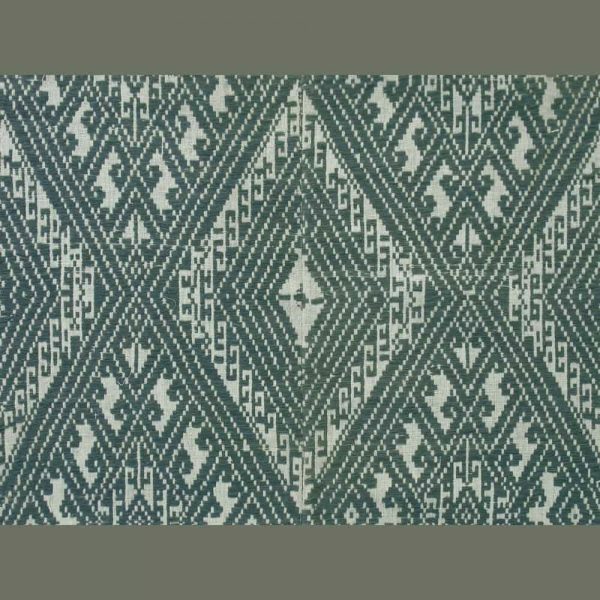 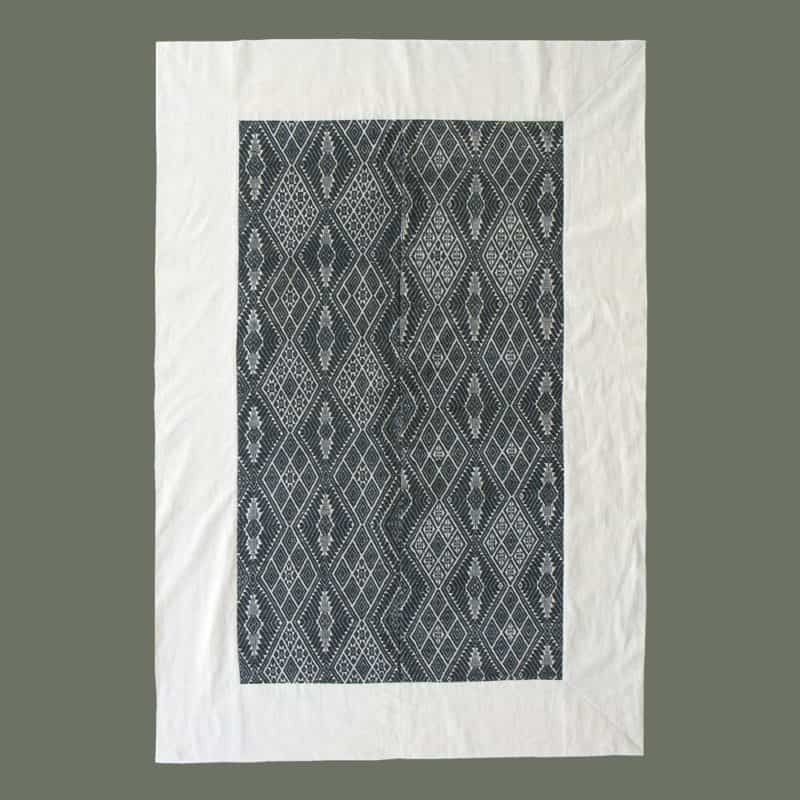 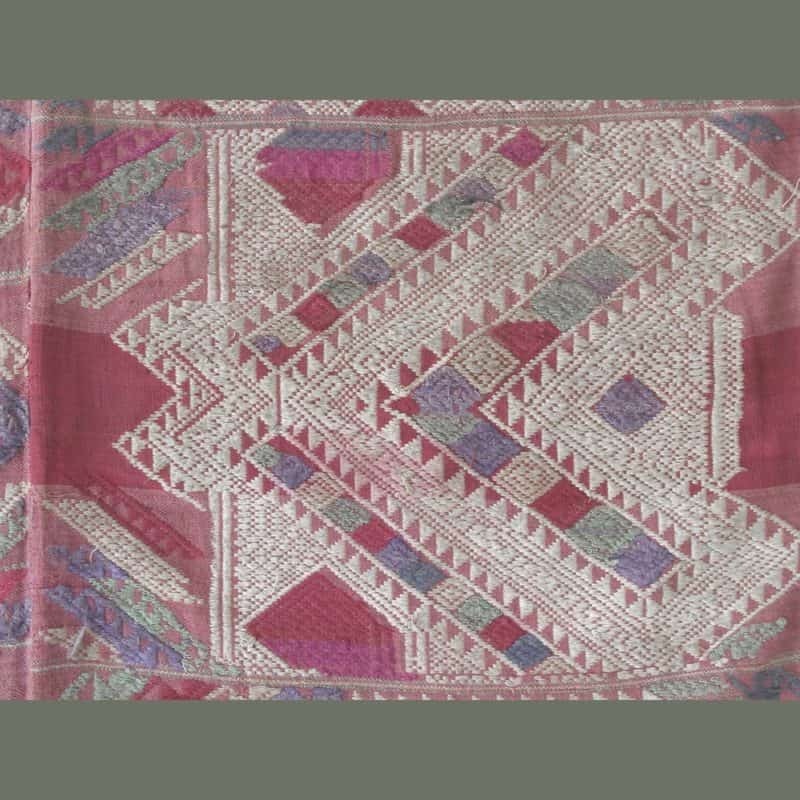 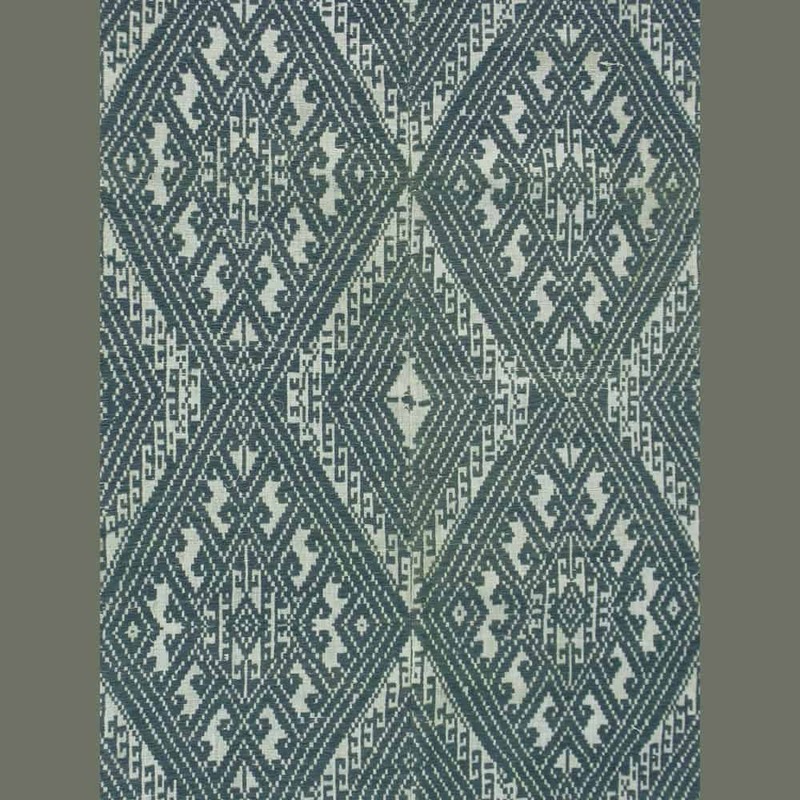 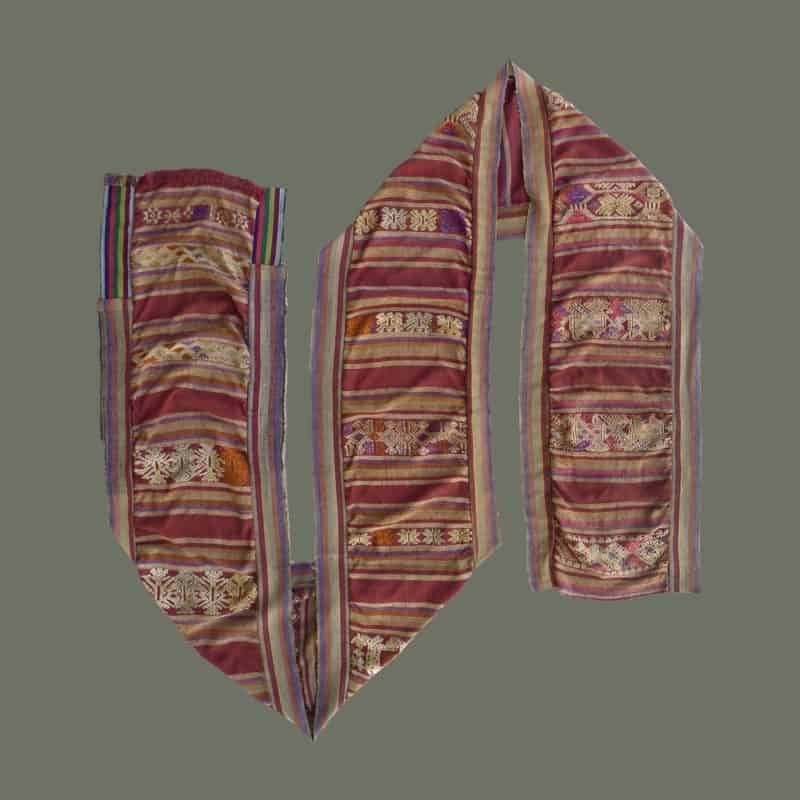 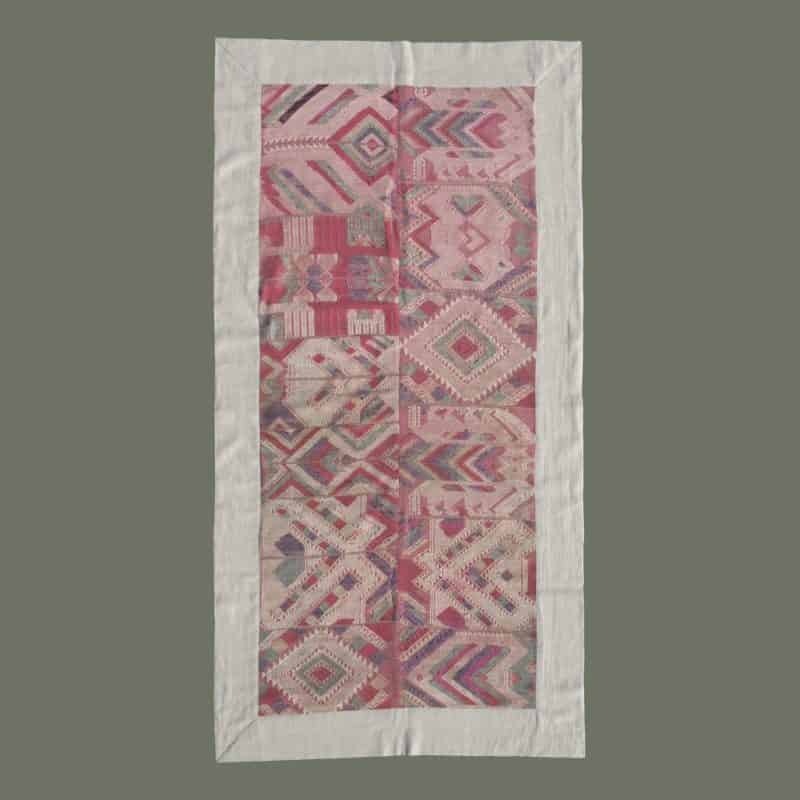 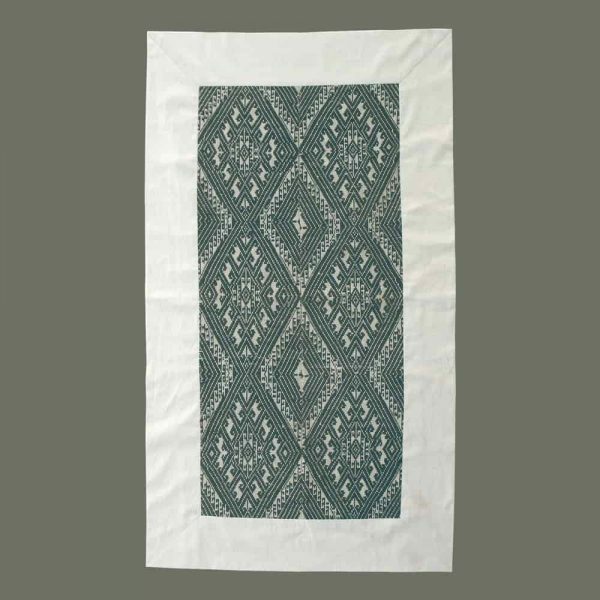 Possibly from Xam Tai, this beautiful old blanket has a bold design in a soft, greyed indigo on natural background. 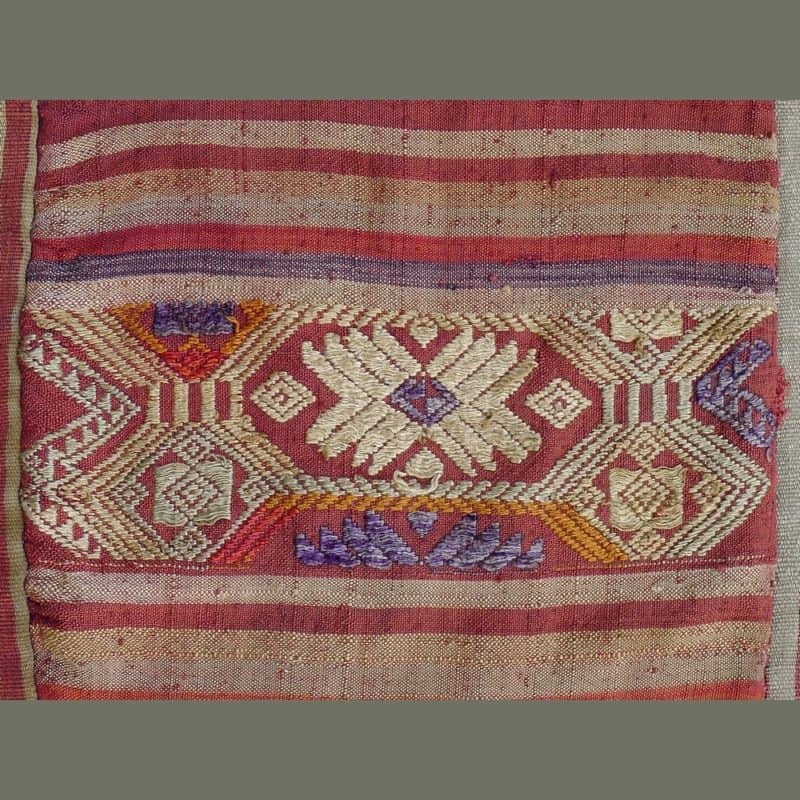 All thread is handspun cotton. 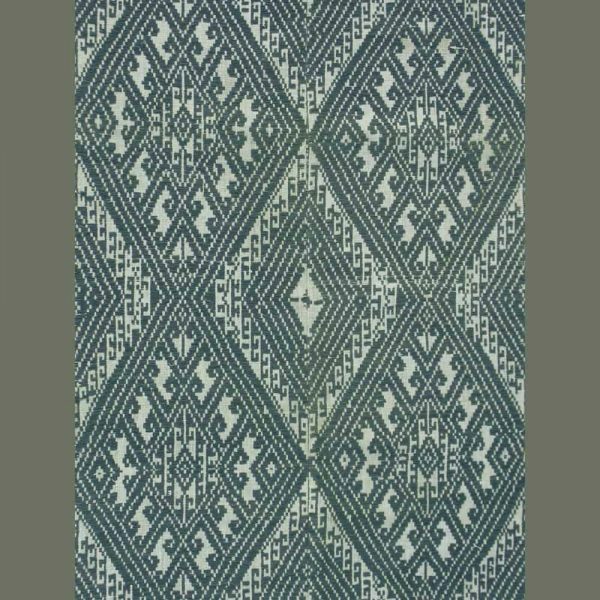 It matches very well at the center seam and is in excellent condition. 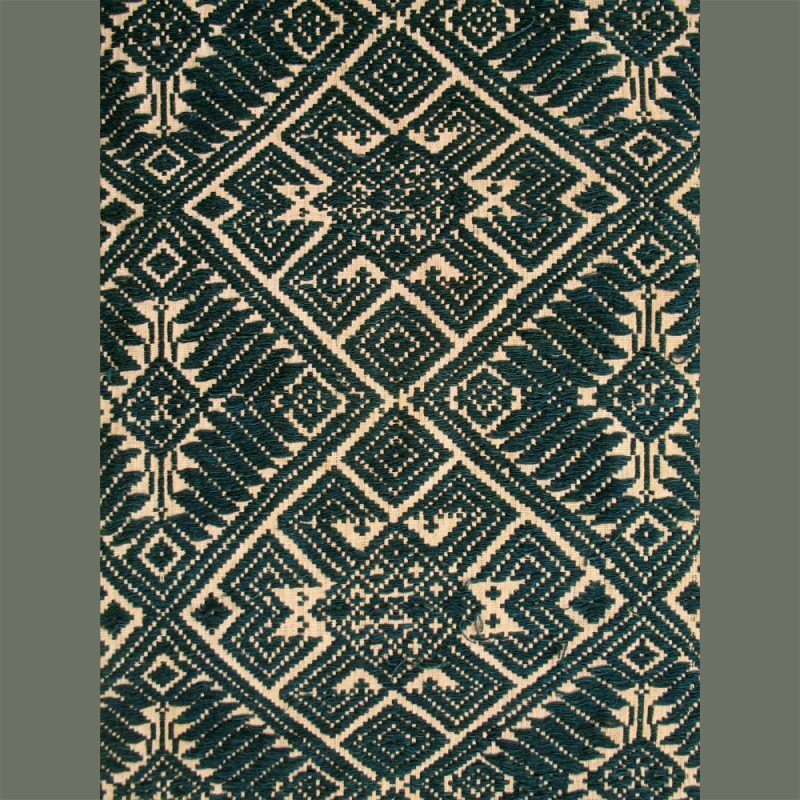 A border and backing in fine, handspun hemp is a recent addition. 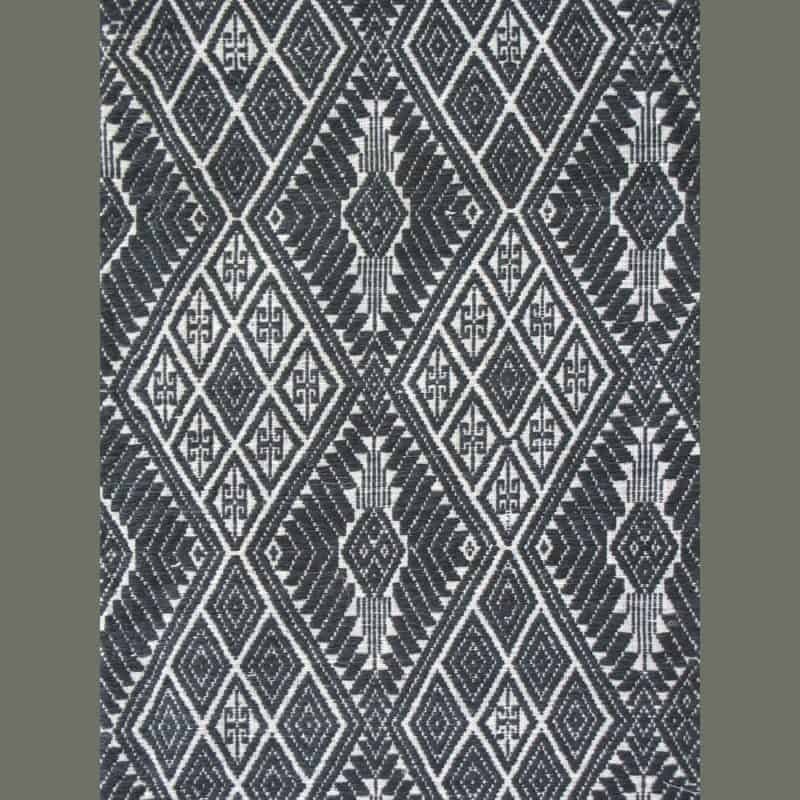 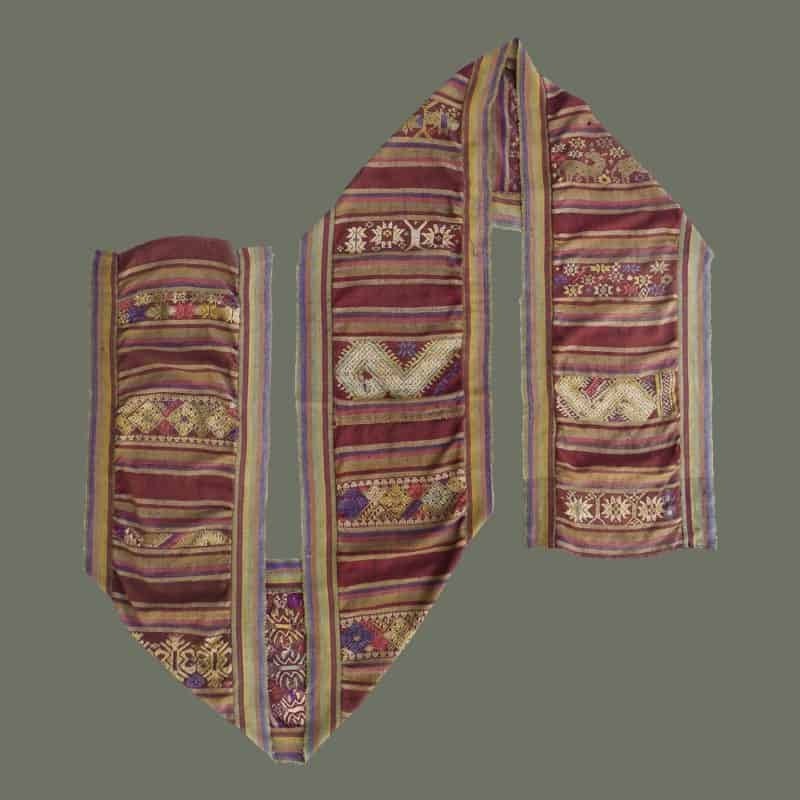 This is a very fine example of the old ‘phaa hom’, or sleeping blankets.